Many European countries require the skipper of a pleasure craft to be able to provide evidence of his or her competence. We offer all the types of ICC required by individuals. 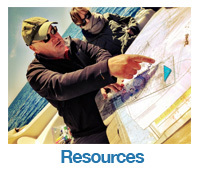 In order to ensure a good theoretical basis we offer the RYA essential navigation course which is available online with our ICC courses. 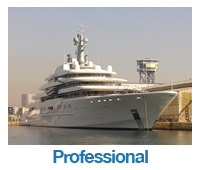 We can undertake the ICC preparation on your boat or a charter boat if you wish. The preparation course is normally 2 to 3 days depending on candidates ability. The assessment is normally a half day. We want you to be happy and confident having completed the ICC course and assessment. 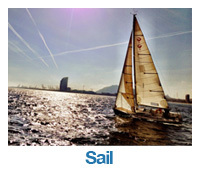 The ICC is integrated into the RYA sail and power courses on request. The International Certificate for Operators of Pleasure Craft (commonly referred to as the International Certificate of Competence - ICC) The rules surrounding the issue of the ICC were initially detailed in UNECE ITC Resolution. Resolution 40, which now regulates the ICC, stipulating who the ICC can be issued to, the syllabus requirements and the layout of the certificate. In very general terms an ICC is required for the inland waterways of Europe and for inland and coastal waters of Mediterranean countries. An ICC is valid for 5 years from the date of issue. If a boat owner requires evidence of competence when visiting another European country the ICC will frequently suffice. It can also be useful for people wishing to charter. The ICC does not replace the need to comply with any manning requirements imposed by the country in which the boat is registered, wherever in the world the boat may be. Where evidence of competence is required by the country of registration, pleasure boaters must comply with the regulations of both the country of registration (the Flag State) and the requirements of the visited country (the Coastal State) eg Spain. The ICC should be automatically accepted in countries which have adopted Resolution 40. The ICC is a useful document, the ICC is often recognised as an acceptable certificate in the visited country's national legislation and is quite often accepted on a purely informal basis. Spain, Greece and Portugal, for example, have not adopted Resolution 40 but are still likely to ask visitors for an ICC. The ICC may be acceptable for visiting foreign flagged vessels, foreign flagged vessels being kept in the Coastal State and / or vessels flagged in the Coastal State. It should never be assumed that the ICC will be accepted as an alternative to the national qualification of the vessel's flag state. An ICC allows the holder to voyage internationally but only where the country to be visited has chosen to accept it and subject to any prescriptions made by the visited country. Talk to us if you need more information or guidance of eligibility for an ICC. We can train and examine for ICCs up to 24m.